EFiS Swiss, founded in 2007, is a fully owned subsidiary of Paymentgroup International. 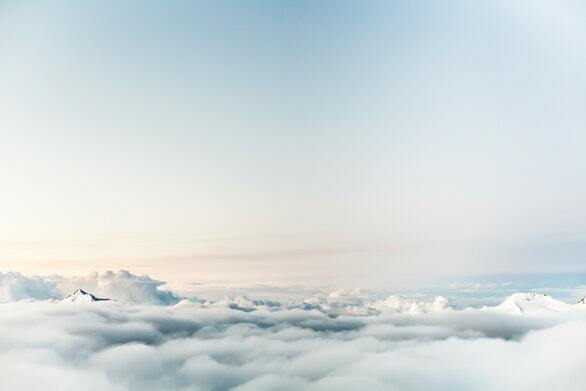 EFiS Swiss is a Swiss financial services provider located in Zurich specialized in banking connectivity (SWIFT, EBICS, Host-to-Host) and payment processing services. Our data centres are located in Switzerland and meet the highest standards of security and availability. Financial industry messaging is different from messaging in other industries. In addition to transport and transformation, message tracking, real-time monitoring, search and manual repair are aspects that often pop-up with urgency due to criticality, compliance or business requirements. The lean messaging suite is less complex due to its focus on the financial industry’s requirements. The modular solution suite allows our customers to simply pick the relevant elements without the need to install and operate the full suite. This reduces total cost of ownership (TCO). EFiS Swiss product suite is based on the messaging middleware from our strategic partner Incentage. Our product suite makes sure that our customers are not left alone when it comes to other less traditional aspects of messaging. The product suite is unique in its functional depth reaching from transformation to messaging, to monitoring, to manual messaging workflows. This richness enables our customers to solve messaging sustainably and consistently. The Process Cockpit (PC) provides a real-time view of information flows. It detects any abnormalities immediately and escalates dangerous situations to enable damage prevention. 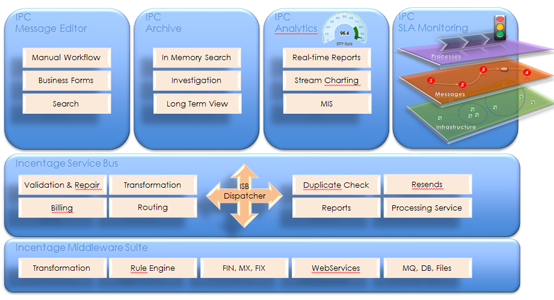 PC creates and increases transparency while monitoring message flows, message processes, and applications in real-time. PC pro-actively alerts and escalates situations that are not within configurable thresholds. As a result, situations that could lead to reputational or financial loss are recognized early on. This opens a highly valuable time window for acting and preventing damage. Staying in control with PC in a consolidated view across a diversity of applications brings peace of mind. Message flows and business processes become a perfectly well organized mass, even when counting in the millions. Every single message knows exactly what to transport, in what form, at what time and where to deliver it. Messages behave uniform and are perfectly structured and orchestrated. The problem with many of today’s investigating and retrieval solutions is that there is no easy access to specific messages in very large volumes of historical data. The IPC Central Message Repository is a storage and full-text high-speed search engine with flexible configuration to exceed expectations of internet experiences users. Incentage customers are using the Incentage Central Message Repository to find specific messages in hundreds of millions of archived messages within seconds – even when searching with free text. Our transformation solutions built with our Messaging Middleware Suite enable smart message exchange between applications and networks. Our core competence is to enable applications for XML, ISO 20022, CSV, FpML, EDIFACT, SAP iDoc, SIC, SWIFT FIN, MX, FIX, JSON formats, and protocols like Web Services, FTP, SFTP, Websphere MQ, and JMS connectivity and more. IMS is designed to be used easily and flexibly by users without the need to write code. IMS is processing more than a billion messages each day throughout the world. EFiS Swiss provides outsourced banking connectivity and interbanking messaging and payment processing services for banks and corporates in its Swiss data centres. 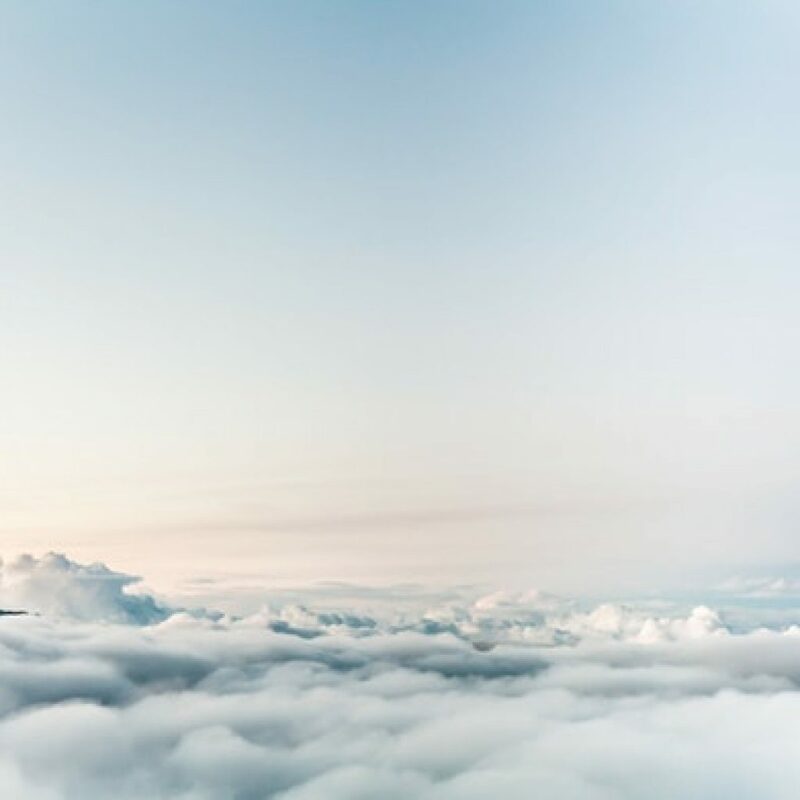 Our data centres meet the highest security and availability standards based on technology, security, and solutions from our strategic partners: EFiS (SWIFT Service Bureau), Incentage (Messaging Middleware), and SWIFT (connectivity). SWIFT Service Bureau services for SWIFTNet connectivity for SWIFT FIN, FileAct and InterAct as well as Host-to-Host connections and EBICS. Service Bureau for the participation at the Swiss Interbank Clearing (SIC) and euroSIC as well as the Swiss securities clearing system (SECOM). Structured services for banks and corporates based on messaging standards such as ISO 20022. Single and bank-independent solutions for account statement collection and payment processing. One solution for global payment processing (high value and high volume payments). Reduction of administration efforts for bank relationship management (no need to register or maintain authorized signatories). Highly secure and fully redundant infrastructure. Elimination of bank specific logins (tokens/smartcards). Single, highly secure and available infrastructure to connect to all your banks globally. Fully bank-independent, as new banks can easily be on-boarded or existing be replaced. Being a fully bank- and group-independent company – owned by the founder. No dependency or ownership from any US based company or bank. Single connection to all your global banks in one application. Avoiding the need to establish or maintain bank specific Host-to-Host connections or eBanking portals. Automation and Straight-Through-Processing (reduction of manual work and errors or upload of data). Elimination of any bank specifics (e.g. formats). Omission of special requirements for SWIFT expertise and environment.